101 ways to save time with a wiki! 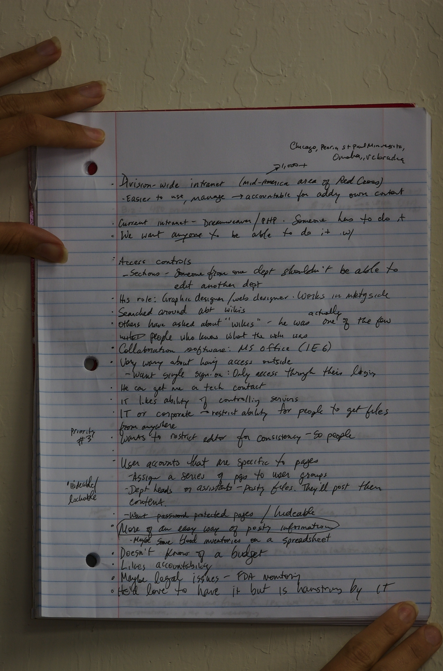 #2 – Notes, Notes, Notes! When I was a student, I was a copious note taker. Where are those notes now? After moving from dorm to apartment to graduate school to San Francisco, those notes are nowhere to be found. Two hours of searching my parentâ€™s attic I located my college photos, my old rice cooker, and several textbooks books. No notes. Transcribe your notes into your wiki (or, for those cutting edge individuals, take notes directly in your wiki). 1) Fully legible – not only can you actually read your notes, but formatting with bullet points, bold lettering and headings helps to organize ideas. 2) Share – Easily share you notes with other classmates. Why bother heading to library to photocopy your notes or risk losing them when you lend them to someone? Simply direct people to your wiki page. 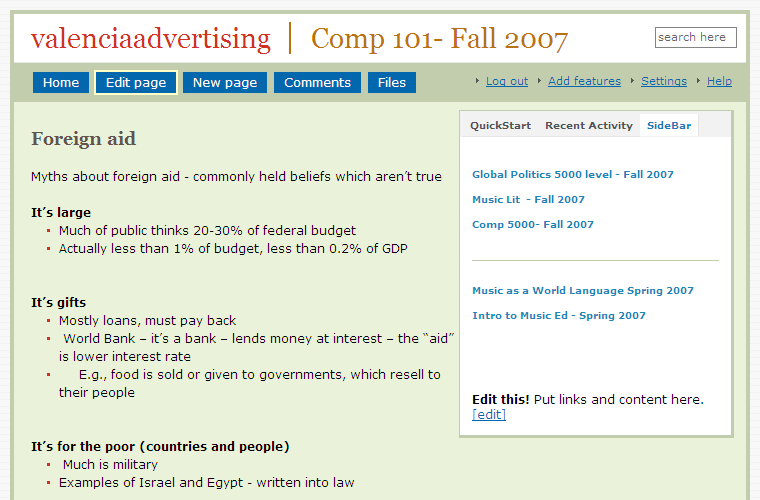 3) Link – Add links to relevant articles and websites to create a comprehensive study guide. Don’t try to compile information right before the exam, that’s when you should be chugging coffee and cramming. 3) Search – Locate all your information with the click of a search button. Can your Mead notepad do that? Not yet! ← 101 ways to save time with a wiki – #1 Post it! I tried typing notes on my computer before and it worked pretty well. Reading handwritten notes is tough especially with my bad handwriting. Transcribing notes onto the computer helpes me review and understand the notes better. However, typing takes quite a bit time. The reason for notes and books along with scholarship is trying to find passages to comprehend the depth of the thinking, the stucture behind a thought and then to ponder how a thought is being created as a result of cosmology. Now if you can bullet point that to a sequence of steps and know the symbolic language by which that is occurring that is great! be purposeful once I work out the details.